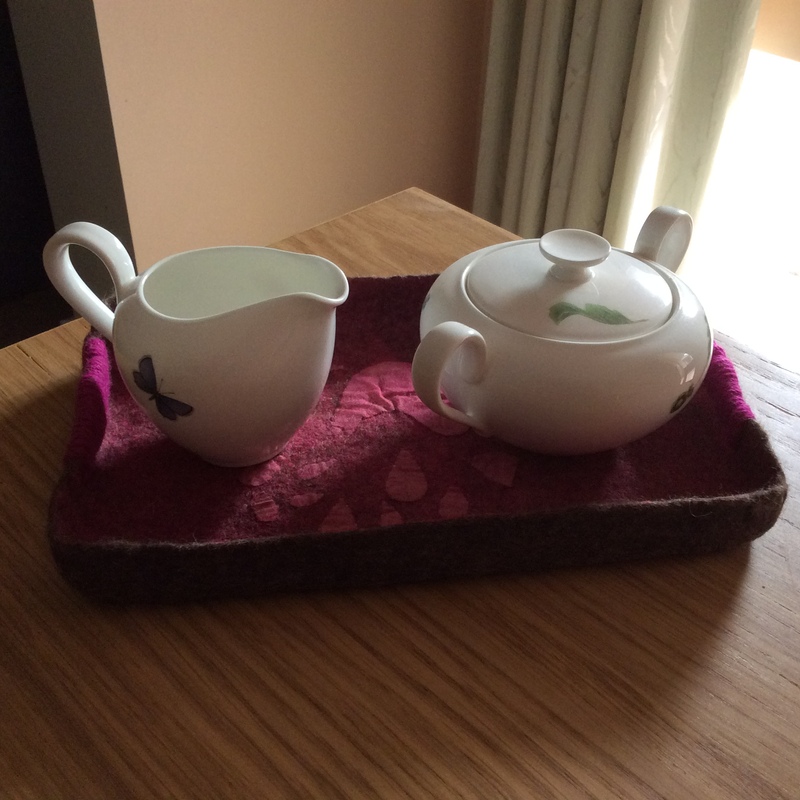 This is a felt tray I made to neatly store some things on my desk at work: my mug, tea tin and coffee jar. 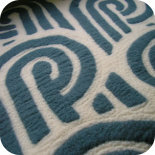 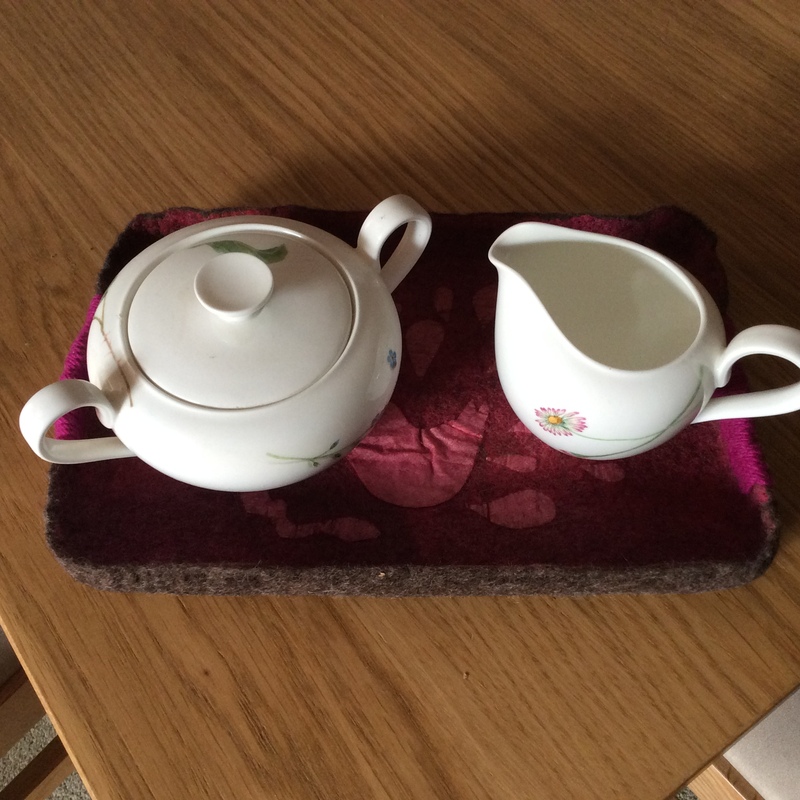 It is a decorative item – not sturdy enough to carry anything anywhere. 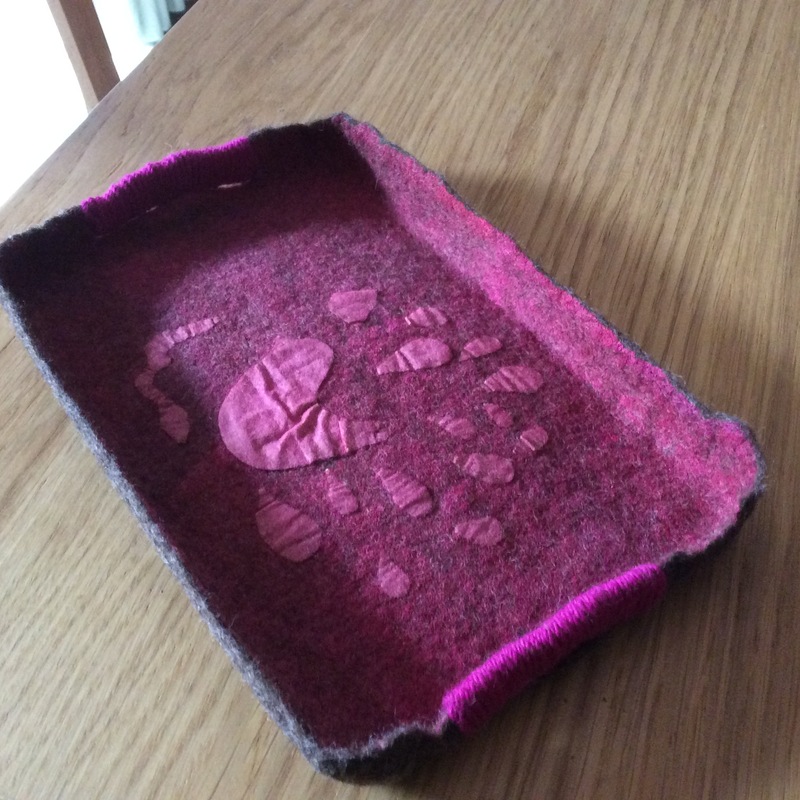 I started with a natural brown batt, added pink cheesecloth then layed out a design using interfacing which I covered with single layer of pink silk – a technique I learnt from Fiona Duthie’s online surface design course. 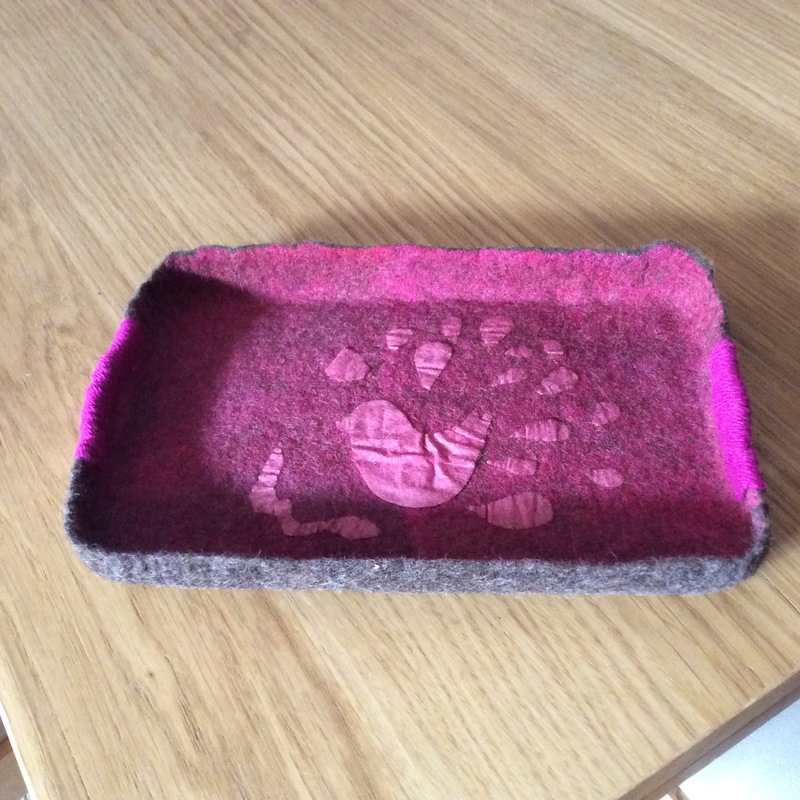 This entry was posted on 04/11/2014 by flicstar in Homeware and tagged felt, felted tray.